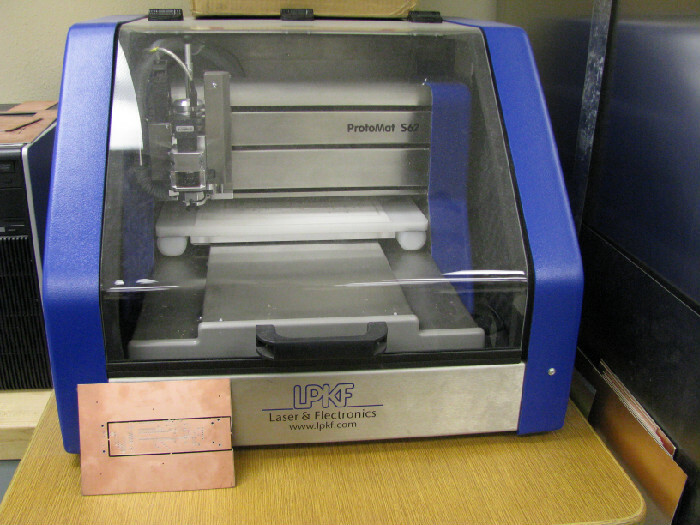 Students learn to design and fabricate printed circuit boards. 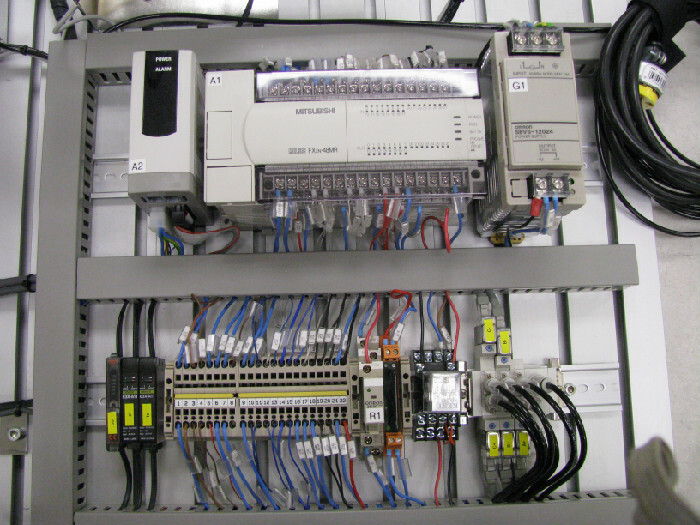 Another close-up of our SMC trainers, showing the Programmable Logic Controller (PLC), fiber optic sensor electronics, pnuematic valves and more. 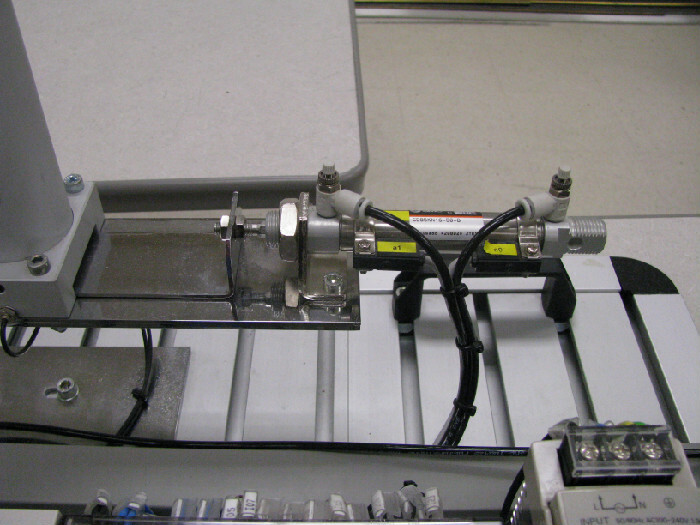 Our SMC trainer uses industrial-quality pnuematic cylinders and magnetic position sensors. 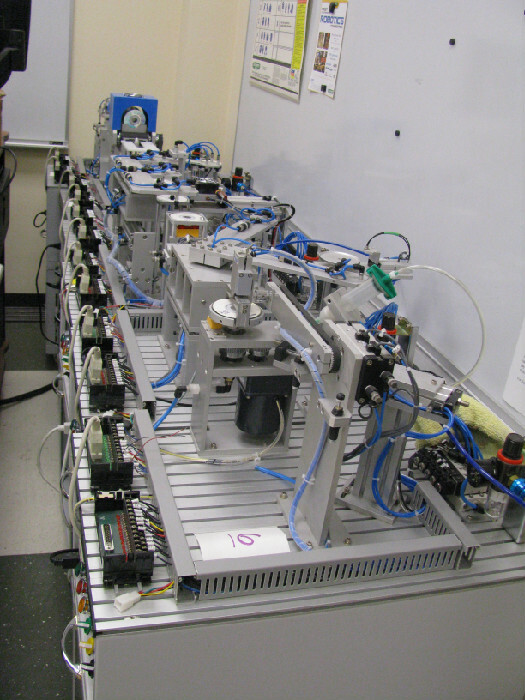 Our Sun Corp. trainers give students hands-on experience with real industrial automation technologies. 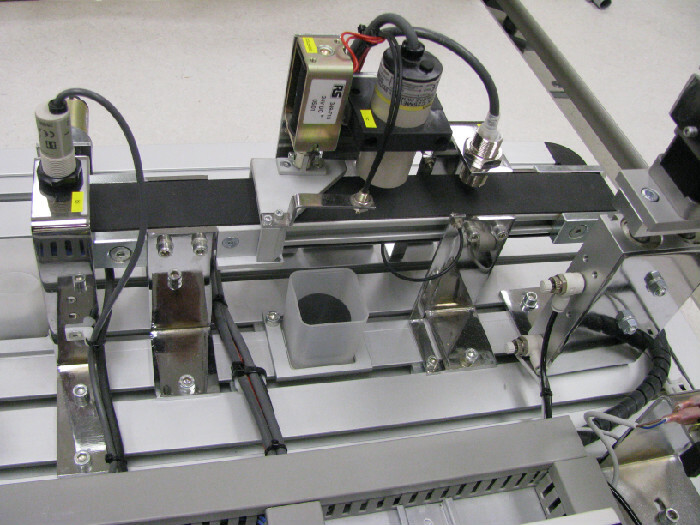 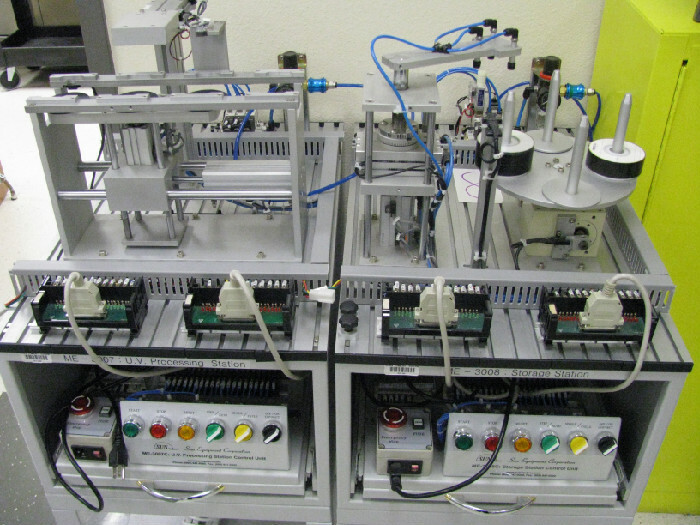 A close-up of two additional Sun Corp. trainers used to teach industrial automation.